Sept. 13 – Bartel, Lee. (2005). Tell me a story! Canadian Music Educator, 46(3), 15-16. Sept. 20 – Bolden, B. (2011). Musical homes. Canadian Music Educator, 53(2), 2-3. Bolden, B. (2013). Music: The power to connect. Canadian Music Educator, 54(4), 3-5. Sept. 27 – no reading. Narrative due! Nov. 22 – Van Wensem, Casey. (2011). 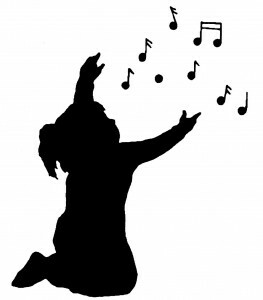 Music for Youth Works: The Music Makers Program. Canadian Music Educator, 52(4), 17-18. Nov. 29 – Bolden, B. (2014). Choir! Choir! Choir! Canadian Music Educator, 55(4), 2-4. Dec. 13 – Eisner, E. (2009). What education can learn from the arts. Art Education, 62(2), 6-9. Jan. 10 – Thompson, J. (2003) ‘I Will Tear You to Pieces’: The Classroom as Theatre. In Gallagher, K. & Booth, D. (Eds. ), How theatre educates: Convergences and counterpoints with artists, scholars and advocates. Toronto: University of Toronto Press. Jan. 17 – Greene, M. (2007). Interlude: The arches of experience. In L. Bresler (Ed. ), International Handbook of Research in Arts Education, 657–662. Springer. Jan. 24 – Hanley, B. (2003). The good, the bad, and the ugly—arts partnerships in Canadian elementary schools. Arts Education Policy Review, 104(6), 11-20. Jan. 31 – no reading. CAP assignment due! Feb. 7 – Upitis, R. (2011). Engaging students through the arts. What Works? Research into Practice, Research Monograph #33. April 11 – no reading. Welcome back! April 18 – Schonmann, S. (2018). "Aesthetics." Please note: I would like you to submit this response by email. Thanks! April 25 – no reading. Who Art Thou? Assignment due.